The San Joaquin operated by Amtrak is a passenger train service in California's Central Valley. The railway runs from Bakersfield to Stockton and provides an extensive network of Amtrak Thruway Motorcoach. That is the critical part of the railway performance as those buses are offering rides from the stations to the Southern California, the Central Coast, the city of San Francisco, the North Coast, the Yosemite Valley, the High Desert, Reno, and Redding. In the Stockton, the railway splits to Oakland and Sacramento. There are 16 stops on the way from Bakersfield to Oakland and 12 stops from Bakersfield to Sacramento. The Santa Fe Passenger Depot station is located in the Downtown Fresno. The station serves not only the San Joaquin railway, but Fresno County Rural Transit Agency, Greyhound intercity buses, Fresno Area Express, and the Yosemite Area Regional Transportation System as well. Notably, the station is operating from 05:30 until 22:00. 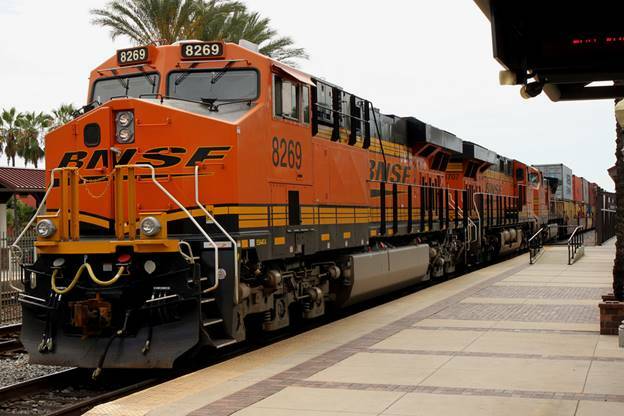 The BNSF Railway Company serves freight railroad operations across North America. There are two main routes: The Northern Transcon and The Southern Transcon. The Northern Transcon rides from Seattle to Chicago, while the Southern Transcon rides from Los Angeles to Chicago. Another railroad operating in Fresno is the Union Pacific Railroad that was established back in 1862. That is a freight hauling railroad operating in approximately 23 states of USA. The San Joaquin Valley Railroad is a short line railroad operating in San Joaquin Valley, outside of Fresno, California. The railway moves along Fresno - Goshen Jct - Famoso - Bakersfield - Algoso. 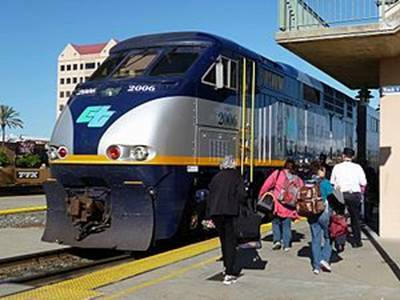 Lines that are departing from Fresno include Fresno - Exeter - Strathmore, and Fresno - Clovis.